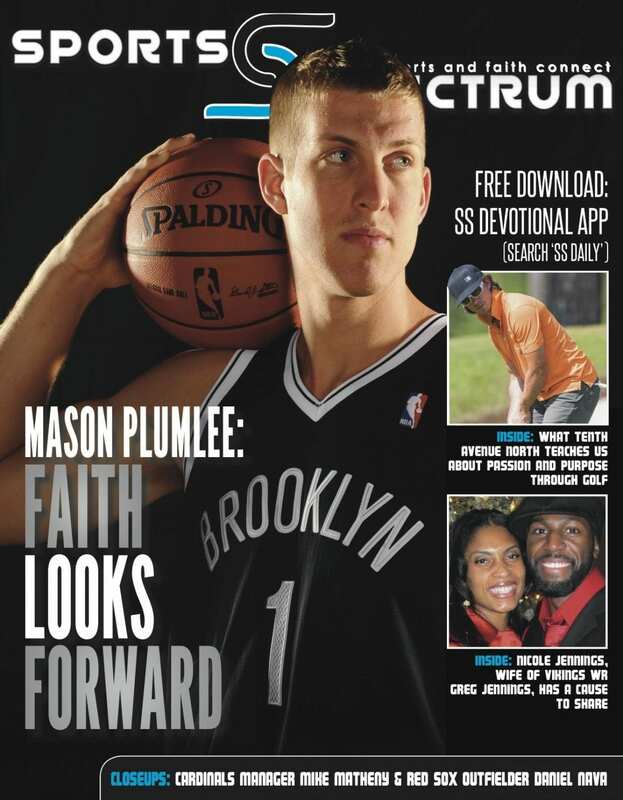 This issue features Brooklyn Nets rookie Mason Plumlee, contemporary Christian music artists Tenth Avenue North and Nicole Jennings, the wife of Minnesota Vikings two-time Pro Bowl receiver Greg Jennings. The issue also includes stories on NFL kicker Ryan Succop (of the 8-0 Kansas City Chiefs), and two World Series participants: St. Louis Cardinals manager Mike Matheny and Boston Red Sox player Daniel Nava. Also, our columns touch on a variety of issues: In “Airing it Out,” managing editor Brett Honeycutt writes about pardons; In “Another Angle” staff writer Stephen Copeland writes about grace, and in “Unpackin’ It,” Bryce Johnson talks with New Orleans Saints tight end Ben Watson.